Ocean enterprise is a critical component of maritime commerce and the blue economy. For profit and not for profit businesses that support ocean measurement, observation and forecasting are known as the ocean enterprise. These businesses develop the infrastructure necessary to generate new data and to work with publicly available data to deliver value-added products and services to ensure the safe, responsible, and successful running of maritime commerce. From the instruments that make strides in ocean observing every day to the app that tells a tourist if it is safe to go out on the water, the ocean enterprise is a significant component of maritime industry. The Ocean Enterprise is rarely recognized as its own because the work they do is widely distributed across a range of disciplines not typically classified as maritime operations. The objective of the Ocean Enterprise publication is to raise visibility and awareness of this important industry cluster, and to better understand of its linkages with the National Oceanic and Atmospheric Administration (NOAA) and the U.S. 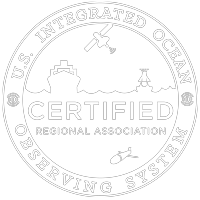 Integrated Ocean Observing System (IOOS®) program. The study identified more than 400 firms in 36 states operating in the sphere of ocean enterprise. This immediately yielded one of the key points about this study—the ocean enterprise is not geographically constrained. There are major hubs all along the U.S. coastline, from San Diego and Seattle to Boston, but there’s also firms inland—in Nebraska, Kansas, and Montana—all visibly contributing to the ocean enterprise, but never captured by regional studies. The other big discovery is that, of revenues generated by these firms overall, $7 billion comes from their work in the Ocean Enterprise every year. That’s a significant contribution to the Gross Domestic Product. This study also demonstrates a high degree of optimism toward the future—nearly all companies surveyed expected to expand or maintain their current operations in the coming years.